The 2624 is a lightweight ergonomic alternative to the 585 or 586 tool for installing 5/8" and 16MM diameter HUCK lockbolts and blind bolts. The new line of tooling is fully compatible with existing nose assemblies. 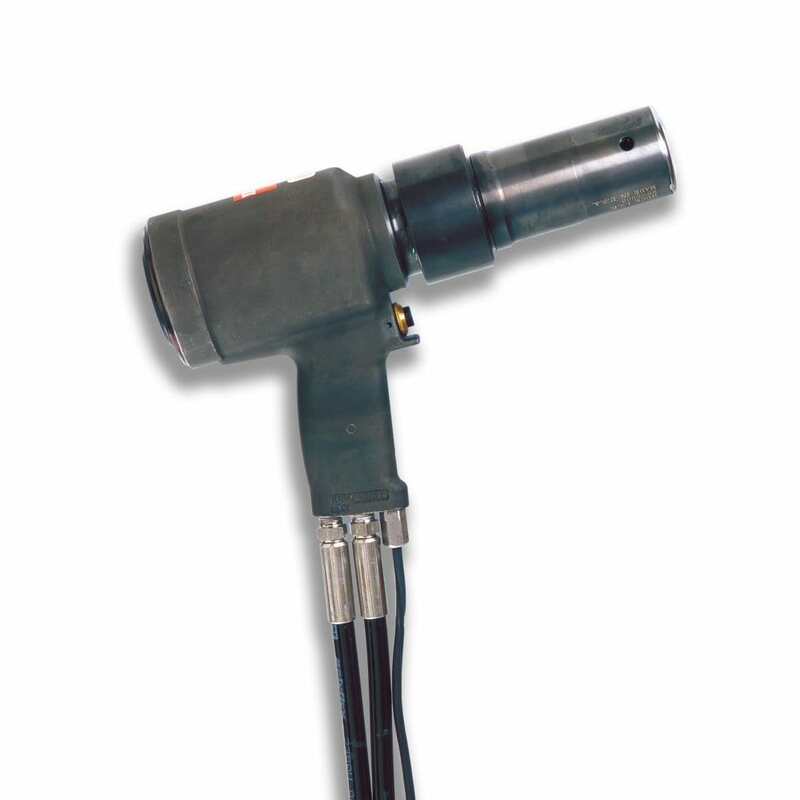 Contact us online or call (866)748-3876 for ordering and shipping information on the Huck 2624 Hydraulic Tool / Huck Model 2624 Rivet Gun. Contact us online or call toll-free (866)748-3876 in the U.S. and Canada for help with the Huck 2624 Hydraulic Tool / Huck Model 2624 Rivet Gun.